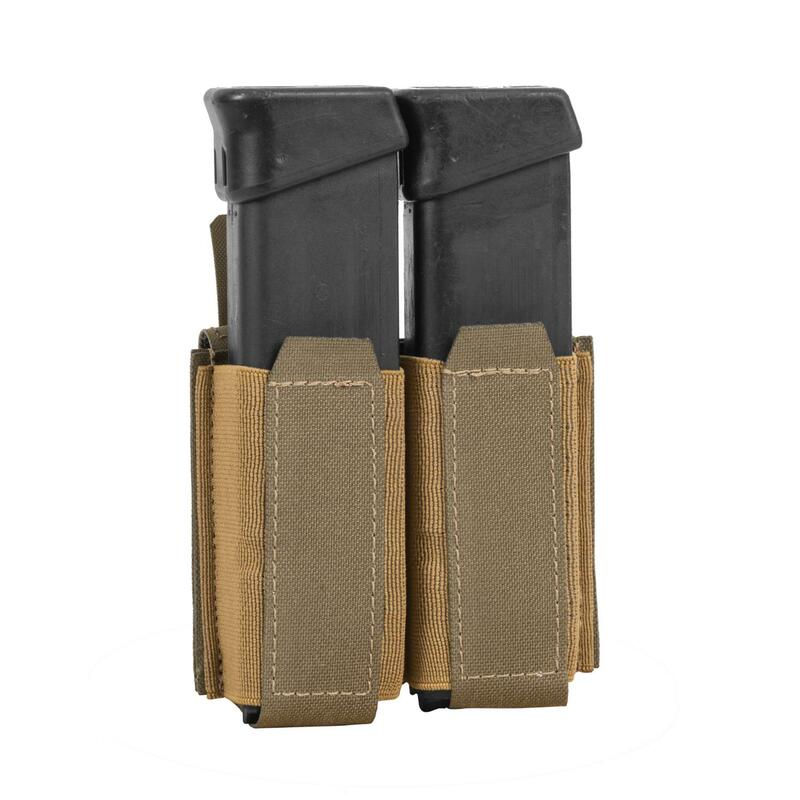 The LOW PROFILE pistol pouch® is a key product in our LOW PROFILE kit. Thanks to this pouch you can carry two pistol magazines concealed under your clothing without the risk of either visual detection or losing them during rapid movements. 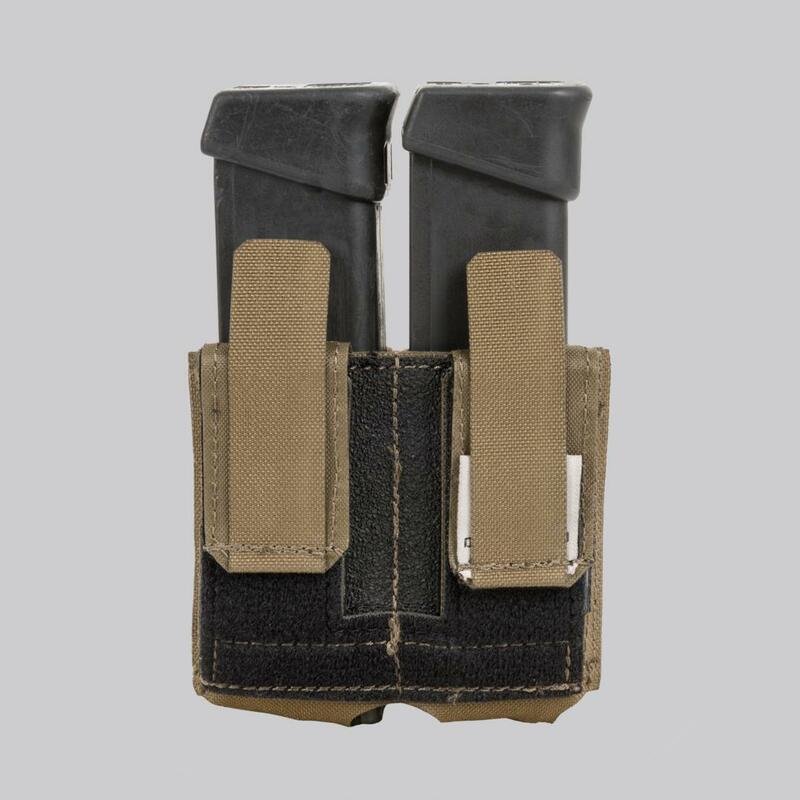 The mostly elastic, partially rigid construction provides a fast draw of the magazines, while the integrated pull tabs enables you to easily re-holster them. The pouch always stays very flat, both with or without magazines, in order to prevent any snagging while operating in close quarters. Our new Velcro® based system for belt mounting gives you the availability to attach or remove the pouch from your belt as needed. Flat profile to help avoid any snagging while working in close quarters.